The group was a loose collection of individuals who, for the most part, only knew each other from their posts on the Timawa.net forum. Anonymity was the norm, and few had ever met each other in real-life. Most didn’t even know their fellow group member’s real names. The group neither had a formal roster, nor a set table of organization. Faced with the group’s unstructured nature, the MCTC opted to address the recognition to the forum’s Web address. The occasion marked the first time that the group’s efforts had ever been acknowledged publicly. The cat . . . was finally out of the bag. It all began with a bag . 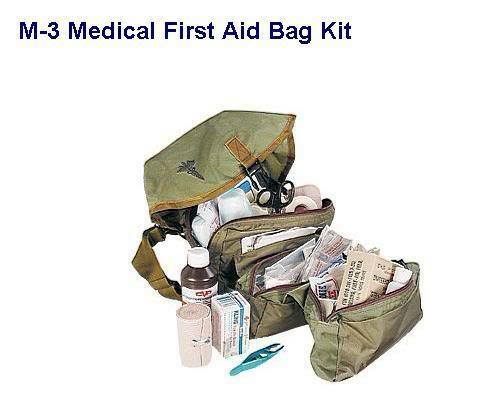 . . specifically a medical bag. A Timawa moderator had been appointed course director for a program to train Marine Corpsmen, and had shared the stunning lack of supplies that his future graduates faced with his fellow moderators on the moderators-only section of the forum. Apparently, it was not unusual for Corpsmen to go to the field with nothing . . . no bandages . . . no medical kits . . . just their training. This prompted another moderator to start Googling for surplus shops and noted the ease with which medical supplies, particularly medical kits, could be acquired online. This started a “what-if” discussion about how Corpsmen could be supplied. A third moderator, whipped out his credit card, and ordered the kit that had become the focal point of discussions. The beneficiaries had been selected; and the donation items designated. The next task was to look for forum members who would put their faith, and their personnel resources, in the hands of complete strangers. To the relief of the organizers, and the amazement of officers within the AFP, there were indeed people on the forum willing to take part in such endeavors. 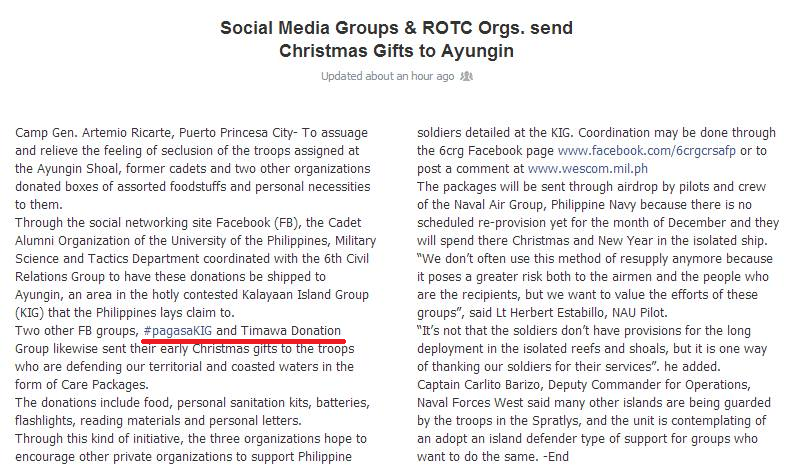 Some had been members of other existing help-the-AFP groups. While others had been silently helping the AFP on their own and welcomed the opportunity to work with other like-minded individuals. All, however, were individuals who understood the value of walking the walk. Since its inception, the group has completed six projects for units in two AFP services. Efforts spanned a whole range of activities from open-source (non-classified) research in support of new-equipment-acquisition position papers, to actual acquisition of assets. As a policy, the group does NOT deal with weapons. 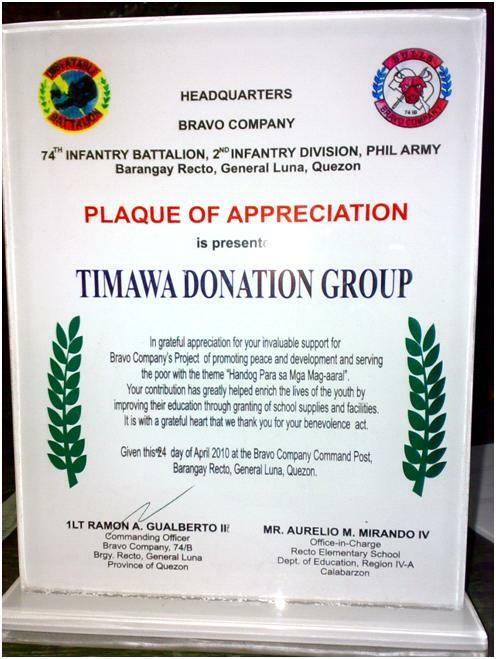 TDG donations are done on a direct-to-unit basis. This ensured timely delivery of the donated items to the end-users themselves. Responsibility for ensuring proper documentation and notification of higher headquarters was with the receiving unit. Because of the mode of operation described above, details for some projects cannot be revealed at this time. Thus far 24 Timawans from the Philippines, North America, Europe, and Australia, have helped raise in excess of P280,000 for the various projects and/or provided open-source information for various studies. The following projects have advanced sufficiently on the administrative front that they can be discussed openly. Since graduation, one graduate has been killed in action. Others continue to serve their respective units, including Marine Force Recon. A TDG member in the service is in constant contact with the graduates whose feedback about the overall quality of MBAC training have thus far been very positive. Months after graduation one trainee, who had been dropped from the course for non-course related matters, found himself in a highly publicized firefight in Basilan. During the encounter, his unit's Corpsman was injured. He did his trainers proud by stepping in and applying the live-saving lessons he learned during MBAC. He saved a number of his comrades that day. For his actions, he has since been given an opportunity to graduate with a future MBAC batch. TDG involvement in this project started as early as the concept-paper stage for the ambulance. Forum members assisted in collecting open-source information about similar ambulances in other armed forces. AFP servicemen on international deployment were particularly helpful. Of the three operational vital-signs monitors (one was a non-functional spare), one has been deployed with the Armored Assault Bn (AABn) in preparation for mounting on the 2nd Armored Ambulance. The first ambulance deployed to the field before the monitors arrived and therefore has not yet been equipped. Minor retrofitting will be required to prepare it to accept its monitor. The two other monitors remain in the custody of the Office of the PMC Surgeon, pending deployment. In accordance with equipment documentation, all monitors remain charged at all times to ensure longevity of their batteries. Of these two, one will be assigned to the 3rd Armored Ambulance, while the other will be temporarily assigned to the Medical Dispensary at Marine Base Ternate. These will be the focus of a future project. First phase of this study has been complete. The second phase is now a joint PMC-USMC effort. Member of this course graduated on May 14, 2008. They have since been deployed to the Marine AOR in Basilan/Sulu. As of writing, there have been no casualties for this batch. 1. First large scale local purchase of donation items. Previously, items were purchased abroad, and then sent to the Philippines. For this project, funds were sent to in-country TDG members who then purchase the items. Supplies were obtained from various medical supply establishments in Banaue, QC. 2. First use of an on-the-ground team. This was the first project that involved a highly responsive on-the-ground component. This project would not have been possible without the help of Timawans who were willing to put in the leg-work. To these gentlemen, the rest of the group owes a great debt of gratitude. 3. Unlike Batch 20, where only the top 3 graduates were given individual items, for this project all graduates were given medical supplies to augment the provisions that were made available to them -- by itself an important achievement on the part of the PMC (previously, Corpsmen were sent into the field without supplies). 4. This project is actually part of a multi-phase effort to support the medical aspect of the PMC Battalion of Excellence program. The project included the donation of folding stretchers whose usefulness in Philippine field conditions will be tested by MBAC 21 graduates. Subsequent phases of this aspect of this project will depend on their feedback. This project marked the first time that overseas funds were sent to the Philippines for equipment purchases. Funds were transferred by Xoom.com -- whose less than favorable exchange rates had to be taken into consideration. The three hospital beds that #pagasaKIG acquired for the Kalayaan Municipal Health Center were delivered to the Liaison Office of the Armed Forces of the Philippines Western Command (WESCOM) by Wellness PRO, Inc on May 22, 2015. A Metro-Manila based group member was present in Camp Aguinaldo for the event and took the following photographs. By the time the Indegogo fund raising campaign for the project ended on May 6, 2015, thirty five (35) donors, from nine countries, had contributed $2,249 to the cause. 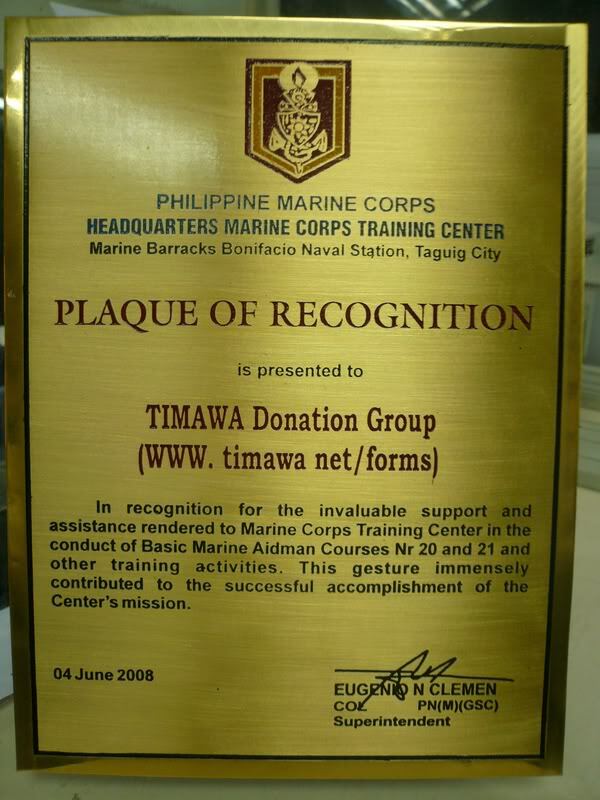 It enjoyed the broadest participation of any #pagasaKIG or Timawa Donation Group project up until that point. The outcome fell significantly short of the campaign’s $4,000 goal. The project originally sought to acquire the full five beds that the 5-bed health center required. However with only 56% of funds raised, only the first phase of the project involving three hospital beds could be completed. The follow-on order for the last two beds could not be made. The shortfall also meant that the project didn’t get the 5% discount on Indegogo fees given to campaigns that reach their goals. Because of the globally-distributed, social-media driven nature of the project — where the vast majority of the project proponents had NEVER MET EACH OTHER IN REAL LIFE (and with the exception of members of the core group nobody knew each other’s real names) — supplier selection was particularly complicated. The group’s mode of operation flies in the face of conventional thinking about how to establish trust between parties. Although the group had already been in existence for almost 10 years, building real-world relationships over incrementally more ambitious projects, the hospital bed project was a significant leap in terms of complexity. The final item above was the object of some negotiation as it went against customary Cash On Delivery (COD) terms. The acceptance process eventually implemented called for payment within six hours of notification of delivery via text message. Fortunately, as shown by the photographs at the start of this article, a group member was present at delivery providing photographs of the delivery event as it happened. The balance was paid as soon as the bed in the photos were was assembled. Total value for the three beds was P99,000. A down-payment of $1,104 was sent to the supplier on March 20, 2015 using funds loaned — interest free — by the project management team to the campaign. Due to a fluctuation in the USD-Peso exchange rate since the downpayment, the balance payment had to be increased. The total resulting deficit meant that $278.96 of the loan made to project organizers would have to be absorbed by creditors. The Kalayaan Municipal Health Center caters to the health needs of the 200+ civilian and military residents of the island, and is staffed by a team of 10 nurses and health workers who take turns being deployed to the island. Bare na bare ang clinic at wala pang any equipment or patient beds. Sahig lang ang hinihigaan,” Kalayaan Mayor Eugenio Bito-onon Jr. told INQUIRER.net. He said the most common health problem on the island is flu. “Problema doon pag may bagong dating na tao may dala ring new virus. Usually flu, nagkahawa-hawa lalo na ang mga bata. Minsan sabay-sabay sa clinic. Last summer nangyari yun tapos walang patient beds at holders ng dextrose,” Bito-onon said. The beds that #pagasaKIG/TDG is donating are manually operated, three-crank hospitals beds. These low-tech beds are not only affordable and not dependent on electrical power — which is unreliable on the island — they are also easier to maintain than electric hospital beds. Because of the challenge of getting to the islands, which can only be reached reliably from sea between April and May of each year, the beds must not require support by specially trained technical support personnel to keep operational.